To wrap up season 1, I wanted to tie together what I’ve gathered over the last 39 episodes of the podcast and sum up my thoughts and wishes for you. I hope you find some insights and inspiration to enjoy more of your journey of motherhood. I see your “Mommy’s Sippy Cup” wine memes, celebrating the start of the school year and the kids getting out of your hair, and berating yourself for yelling at your kids. I get it AND I want more for you and your experience of motherhood. I want for you to enjoy more of the journey than feeling like you need to drown out the frustrations of the day with a glass (or two, or three) of wine. The days are long, but the years are short and there is so much to explore and appreciate about this adventure. I want for you to see your children’s misbehavior from their perspective as a need that is not being met. That they not acting out to make you nuts or push you to yell… it simply may be the only way they know how to express their frustration, anger, or need for attention. I invite you to approach misbehavior with a sense of curiosity and try to see the situation from their perspective and tease out what it is that they need in that moment and try to get their needs met. Are they hungry? Tired? Feeling disconnected from you? Need more stimulation? Less stimulation? Upset that a friend snubbed them earlier in the day? Overwhelmed with school? Also, acknowledge that your child has a different agenda than yours and that they may not have the skill set that you are expecting them to have in a given situation. By reframing your perspective away from yourself and how irritated you are and instead getting curious and being open about where your child is at that moment, you might just surprise yourself and your child at what you find and in the process, invite your child to be better behaved and more open and connected with you. I want for you to see your motherhood journey as life’s greatest self development opportunity. Our children are incredible mirrors for ourselves and the “work” we need to do in this lifetime. Perhaps they are here to teach you patience, or compassion, or self-love. Be open to what their misbehavior and the challenges they bring to you are there to teach you. How is it in service of your greatest good? I want for you to not only accept, but to embrace help and deliberately carve out time for yourself – not only for basic self-care, but for bigger picture, life and soul journey activities. Recharging your batteries and filling your cup are critical to helping you be the mom you want to be. If you’re trying to hold firm boundaries or deal with a tantruming toddler when you are exhausted and worn down, you are likely going to lose that battle and lose it on your child because you have no buffer. Enlist your spouse, enlist your family, enlist friends. Hire a sitter. Take the time for yourself. You are the farthest thing from a failure if you ask for help. And I encourage you not to put your life on hold while you raise your children. Continue learning, pursuing hobbies, and doing those activities that make your heart and soul happy. Not only will you be a better mom when your heart is full, but you’ll also be setting a beautiful example of how to live a well rounded, happy life. I want for you to drop the idea of perfection from all aspects of parenting and motherhood and live motherhood on YOUR terms and what makes you and your family happy. 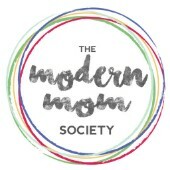 In the era of social media, there is entirely too much pressure for us as moms to live Pinterest-perfect lives. Not only is it unachievable and unrealistic, but it also leaves us feeling like a failure and completely miserable. Drop the facade, embrace the messiness, and live your #momlife following what your heart says, not what social media says. There is no “right” way to parent, and do not allow anyone to shame you into ignoring your intuition and turning away from what you know to be true for you and your family. Also, as it relates to making “mistakes” in parenting: embrace the “failure”. You’re human, it’s going to happen. Use those “mistakes” as an opportunity to show your children your human side and teach them the life skill of how to handle failure. Wherever you’re at is exactly where you should be. I hope that you see this as an invitation and not a judgment. I’m your cheerleader and coach on the sidelines of your motherhood journey. I am far from a perfect parent and my kids are definitely not perfect either. But I do know that I enjoy and appreciate far, far more days than I feel like I need a glass of wine at the end of, and I want the same for you. Do what you can from where you are…what’s one step you can take today to get you closer to being the mom that you want to be? Perhaps just a shift in perspective might make all the difference in the world for you. And if you need some help in finding your one step or just need someone to listen, reach out to me. I’m happy to have a coffee chat and see what I can do to help. If nothing else, I’ll see if I can’t point you in the right direction of some resources that might help you in your journey. You’re doing a great job, mama. You got this.